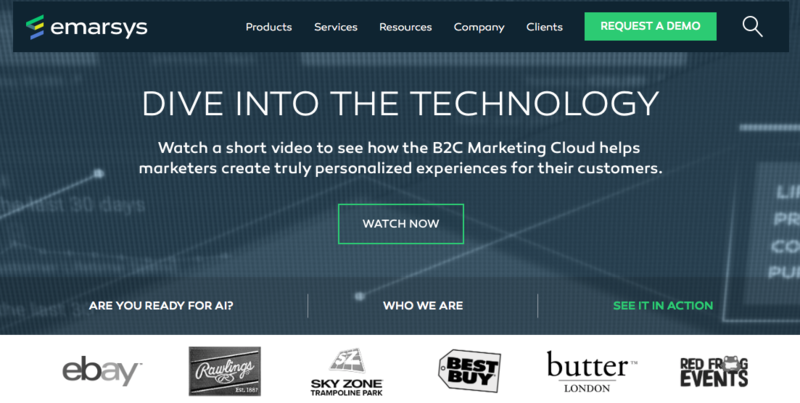 Emarsys is a B2C marketing cloud that enables brands around the world to scale personalized interactions. <item> Unique code used to identify the product, e.g. the SKU. <title> Full title or name of the product. <link> Link to the product page on the website. <category> Category to which the product belongs, including sub-category paths. <image> Link to the product image on the website. <zoom_image> Link to a high resolution image of the product. <available> Whether the product is in stock or out of stock. <description> A brief description of the product. <price> Current price of the product, with decimal point but no currency symbol. <msrp> Manufacturer’s suggested retail price, if different from the price. <album> The title of the album the product appeared on. <actor> The name of the actor associated with the product. <artist> The name of the artist associated with the product. <author> The name of the author associated with the product. <brand> Name of the brand or manufacturer of the product. <year> The year the product was published. Custom fields These can be used to cover any fields you wish to include that are not listed above (e.g. color, size, etc.). Emarsys also accepts Google Product Feeds. If you are already using Google Product Feed, you can use your GPF catalog as long as the necessary Emarsys required feed fields are included. What formats does Emarsys accept? Files should be sent to Emarsys in CSV format and conform to their standards. Files can be compressed to a GZIP. The easiest way to send your feed regularly to Emarsys is to import using a URL. You can do this via the ‘Show API upload details’ button on the ‘Sales data’ page. You can also upload manually via the ‘Sales data’ page by clicking ‘validate/upload file’, selecting your file and then activating the upload. Need help in optimizing your feed and getting it to Emarsys? We can help, feel free to contact us below. Need Help With Emarsys Feed Management?